Nominated for 2nd Voice Arts Award! 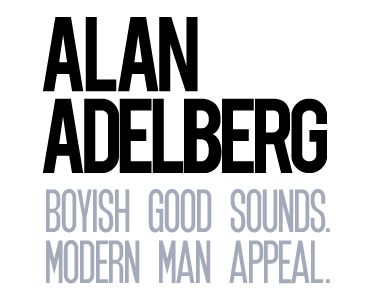 – Alan Adelberg Alan Adelberg | Nominated for 2nd Voice Arts Award! Nominated for 2nd Voice Arts Award! Honored to receive my second nomination for the Voice Arts Awards, this time for my commercial voiceover demo reel cut by the incomparable Chuck Duran and Mary Lynn Wissner with visuals by Visual Voice Demos. Working with them has been a highlight of my career and I’m so thrilled to see their hard work recognized. This demo wouldn’t be what it is without everyone’s invaluable input! Looking forward to seeing everyone on the red carpet. Maybe I should go with a powder blue tux? Hmmm. https://alanadelberg.com/wp-content/uploads/2016/06/dot.jpg 0 0 Alan Adelberg https://alanadelberg.com/wp-content/uploads/2016/06/dot.jpg Alan Adelberg2018-11-08 13:19:262018-11-08 13:19:26Nominated for 2nd Voice Arts Award!